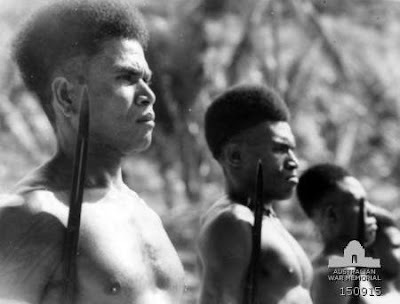 New Guinea was of great strategic importance during WWII, because of it's close proximity to Australia, and it's large size, that could be used to build air strips for bombing raids. During the fighting on New Guinea, the native people of New Guinea played an important role in the ultimate victory of the Allied Forces there. 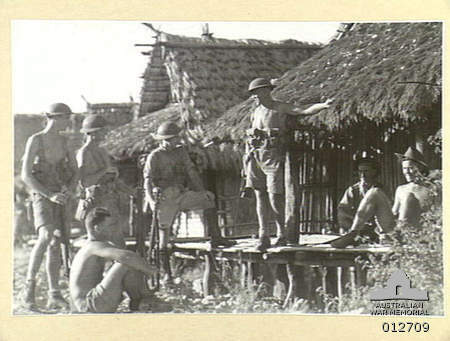 Some of their contributions will be depicted in photos below. 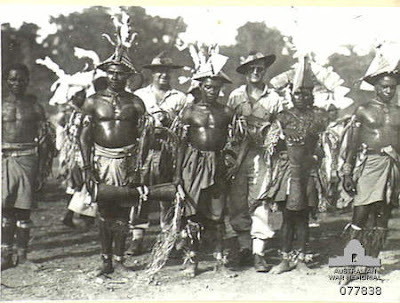 A Group of Australians near their billets, somewhere in New Guinea. 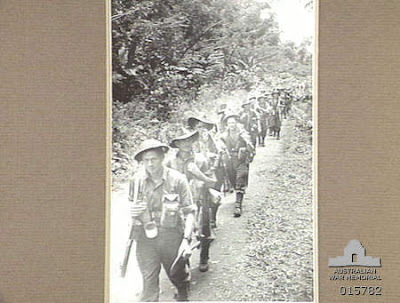 This long line of Australian troops, enters Lae, September 22, 1943. 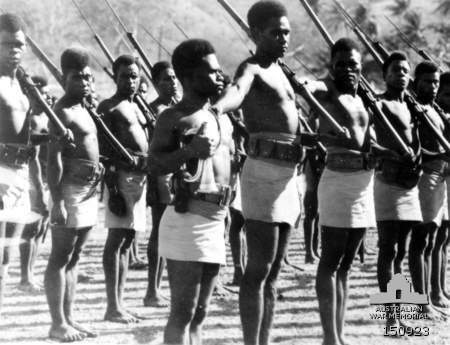 Armed Native troops of New Guinea, stand at attention, during training, November, 1942. More New Guinea troops, barefoot, in native dress perform drills during training, November 1942. 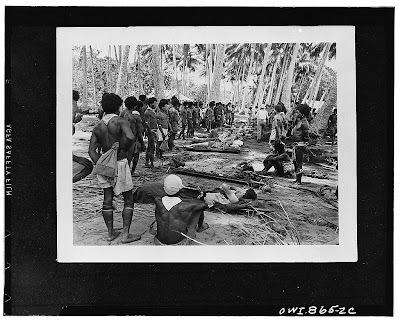 The native people of New Guinea often carried wounded allied troops to Hospital bases so they could receive medical care. Their knowledge of the land, and their ability to navigate the rough terrain was invaluable. 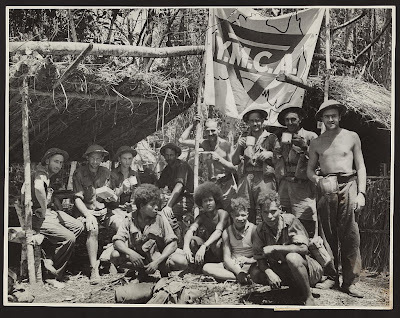 New Guinea troops, and Allied troops, take a break together at a YMCA post, in New Guinea, March, 1943. 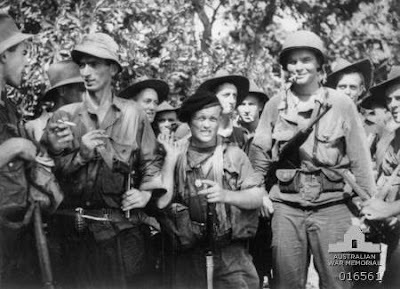 Australian troops and American troops share a moment after meeting near Saidor, New Guinea, February 15, 1944. 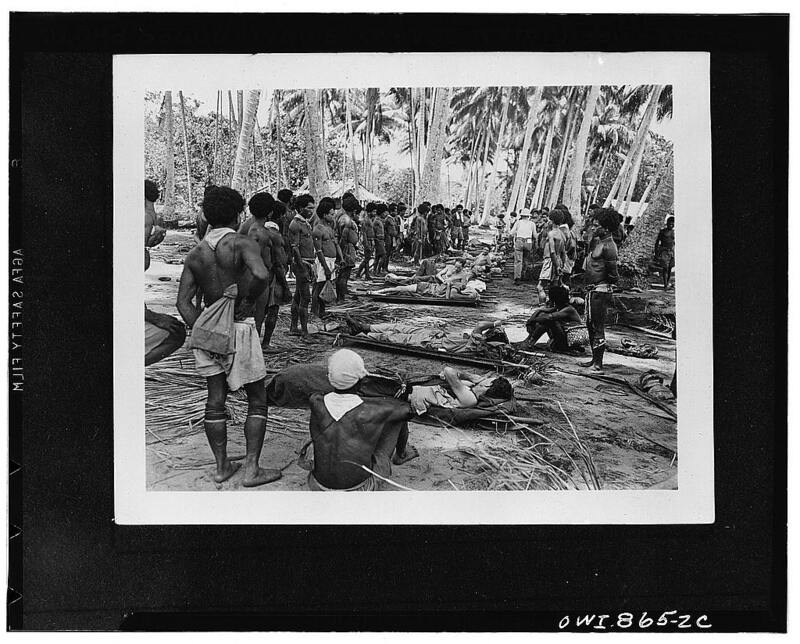 Some native people of New Guinea take a break from carrying wounded American troops on their way to the hospital base. 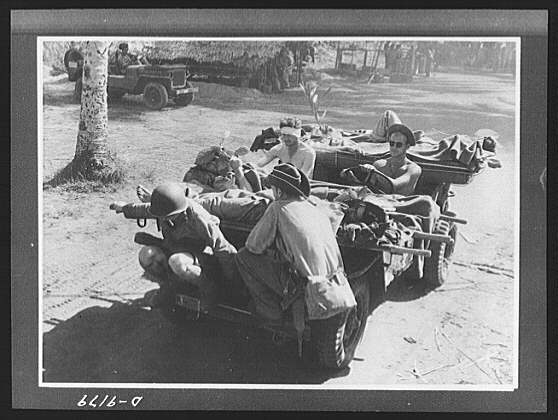 Australian troops use an American Jeep to transport wounded to rear for medical help, March 1943. This photo show Australian troops with some of the native people of Finschhafen, Malahang, Lae, New Guinea, Christmas Day, 1944. 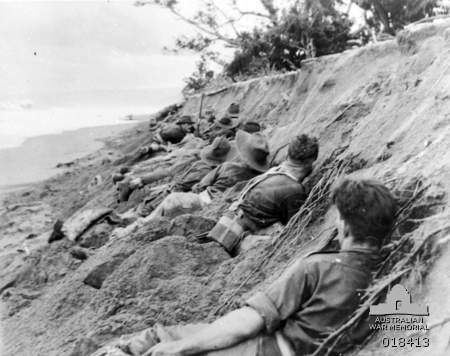 This group of Australian troops dig in to avoid Japanese shelling along the beach, April, 1945. 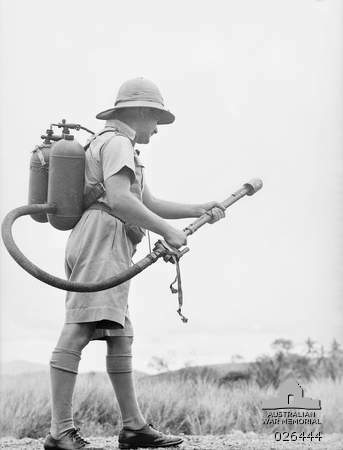 August 1942, this photo show the type of flame thrower used by the Japanese, against Australian troops. 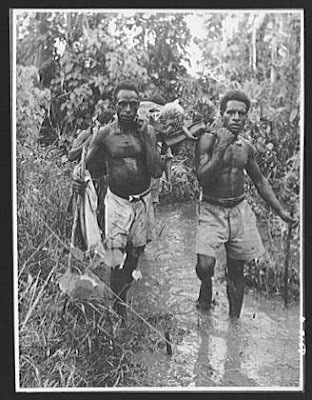 Papua, New Guinea. 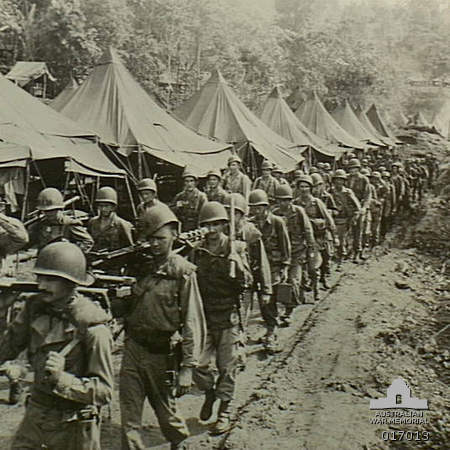 This long line of American troops advance for an attack on Japanese troops at Hollandia in Dutch New Guinea.